On average New Zealanders think an affordable home price would be $375,200. This is $300,480 below Quotable Value’s national average house price, for the three months ending June 30, 2018. A Horizon Research nationwide survey finds Aucklanders think the maximum realistic price for a home to be “affordable” is $468,400. The average Auckland house sold for $1,053,575 in June, 2018, according to QV. What people in other areas think is affordable is also well out of line with the current market. Hamilton residents, on average, think the maximum price to be affordable is $382,600. In June 2018 QV reported an average price there of $556,426. Wellington: $425,800 thought to be affordable, $758,020 is the average June sale price. Christchurch: $308,100 affordable, $494,707 average actual in June. Tauranga: $381,600 affordable, $700,305 average actual in June. 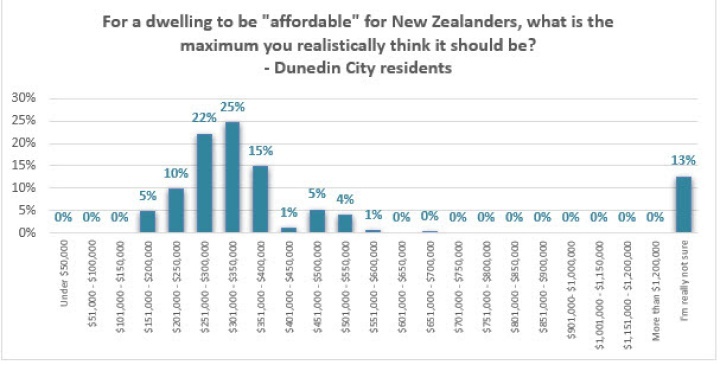 Dunedin: $323,100 affordable, $409,898 actual in June. Horizon surveyed 1,343 adults nationwide in April 2018. The maximum average prices for homes to be affordable varied by age: 18 to 24-year-olds thought the maximum should be $329, 900. Those 75+ had the highest average: $455,200. In some main centres large numbers think realistic maximum prices should be below the average found in this survey. 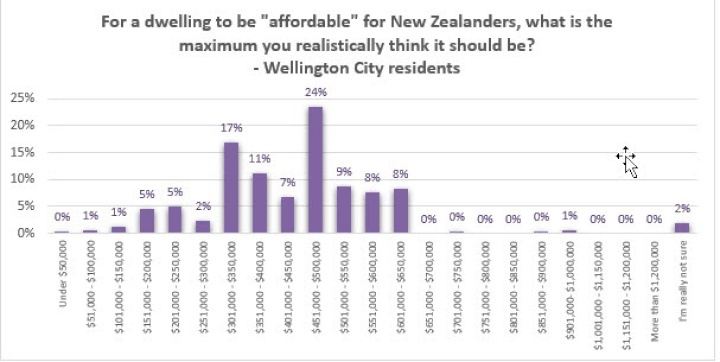 The survey, conducted in the public interest by Horizon, set out to measure what New Zealanders think is “affordable”, given current prices and the Government’s indication that “affordable” homes will be priced at about $650,000 in Auckland. The Government has set $180,000 as the upper household income threshold for first home buyers wanting one of its KiwiBuild homes. 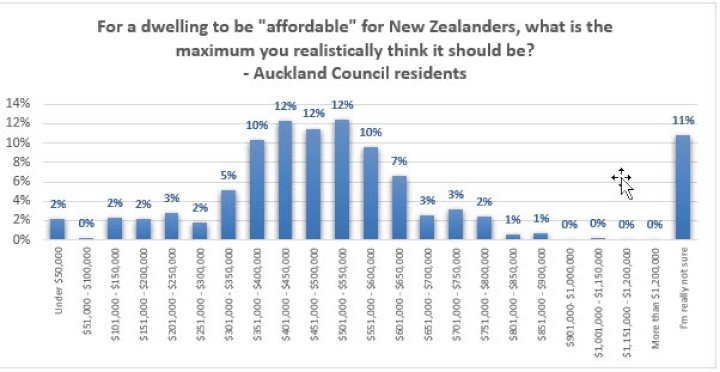 The $650,000 price target is $181,600 above what Aucklanders, on average, think is an affordable maximum price. The Government says it is looking at other measures to help make homes affordable. This includes a shared equity scheme, through which the Government and others, might contribute to deposits for first home buyers. The shared equity policy has twice as many supporters as opponents (41% to 19%) according to Horizon’s survey. Average maximum affordable house price data is from a nationwide housing affordability perceptions survey of 1,343 adults, representing 18+ population, conducted by Horizon Research in April 2018. At a 95% confidence level, the maximum margin of error is +/- 2.7%.